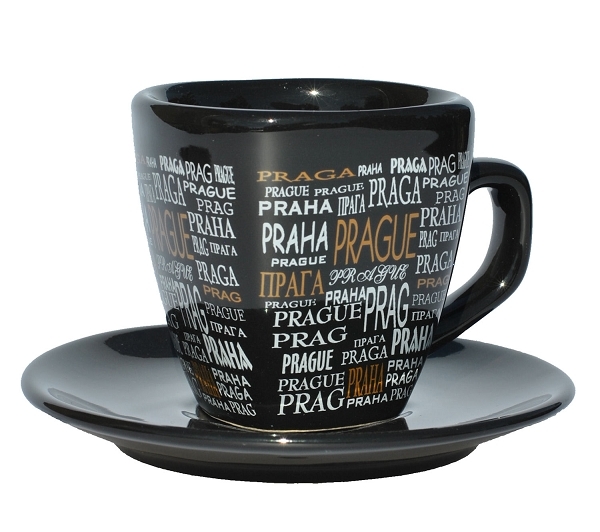 Ceramic coffee cup with saucer, printed with names of the City of Prague in many different languages. Authentic souvenir from Prague. Original local design. Made of glazed ceramic.